Using magnetic resonance imaging (MRI), researchers have now identified three sub-types of depression, including one type that does not respond to commonly prescribed anti-depressants. Depression is common in the United States and all over the world. About 8.1 percent of American adults over the age of 20 experience depression, according to the results of a survey reported by Centers for Disease Control and Prevention (CDC), and about 80 percent of adults with depression in the survey said they experienced some difficulties at home, work and during social activities because of their depression. Doctors and scientists are still working to determine the underlying causes of this debilitating condition, and to come up with treatments that work better for those who do not benefit from today's treatments. The findings from a recent scientific study using MRI imaging may give doctors more information into the underlying causes of depression, which may someday lead to improvements in treatment outcomes. In this study, researchers from Neural Computational Unit at the Okinawa Institute of Science and Technology Graduate University (OIST) collaborated with colleagues and clinicians at Nara Institute of Science and Technology and Hiroshima University to be the first to identify three sub-types of depression. One of the sub-types identified seems to be untreatable by the most commonly prescribed anti-depressant, Selective Serotonin Reuptake Inhibitors (SSRIs). SSRIs ease depression by boosting levels of serotonin in the brain. Serotonin is a neurotransmitter, which is a type of chemical messenger that helps nerve cells communicate to cause various effects around the body. Different neurotransmitter help different nerves communicate. Serotonin influences moods, interactions with other people, memory and sleep patterns, which can be affected by depression. Boosting serotonin through SSRIs, then, usually decreases depression by improving mood, interactions, sleep and memory. Unfortunately, SSRIs do not have the same effect on everyone who takes them. In fact, SSRIs may not even improve symptoms of depression in some people. Because of this, many medical professionals have speculated that there are different types of depression, and that the differences between the types of depression influence the effectiveness of the SSRI drug treatment. There has been no consensus among health professionals about the existence of these various types of depression. 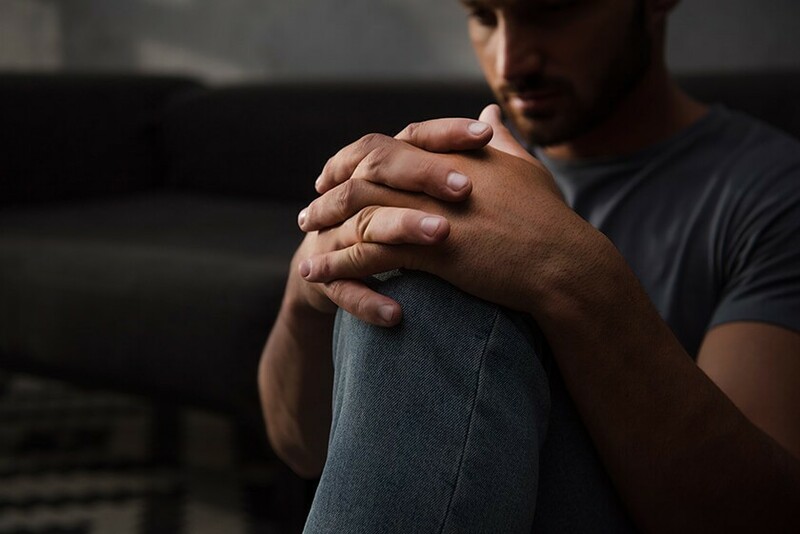 The results of this study should help scientists agree that there are several types of depression, and provide insight into why SSRIs may not work for all people with depression. In this study, the researchers enrolled 134 people into the study. Half of the participants were newly diagnosed with depression, while the other half was not depressed. The researchers used questionnaires and blood tests to collect clinical, biological, and life history data from the participants. The participants answers questions about their sleep patterns, if they had stressful issues or if they had other mental health conditions. The team of researchers used MRI to scan participants' brains and to map brain activity patterns in various regions. This allowed the scientists to examine 78 regions throughout the brain and identify the correlation between the brain activities in each region. "This is the first study to identify depression sub-types from life history and MRI data," said Prof. Kenji Doya. Statistician and lead author of the study, Dr. Tomoki Tokuda, designed a new statistical method that could detect several different ways of clustering data. Scientists use data clustering to group things in such a way that the items in the same group are more similar to each other than they are to those in other groups. Tokuda used data clustering to group all of those 3000 measurable features in different ways. They came up with five different data clusters; three out of the five data clusters represented different sub-types of depression. Researchers can use MRI to look at how different parts of the brain respond to various stimuli. MRI can also help researchers assess how different parts of the brain interact with one another to help the brain function, a phenomenon known as functional connectivity, which often occurs in patterns. They found that the functional connectivity in one specific region of the brain, known as the angular gyrus, played a large role in whether SSRIs would effectively treat the depression or not. The angular gyrus is a very important part of the brain, as it is responsible for processing language and numbers, attention and spatial cognition, among other functions. The researchers found that the participants who demonstrated increased functional connectivity between different parts of the brain and who had experienced childhood trauma had a sub-type of depression that did not respond to SSRIs. They also identified two other subtypes – one in which the participants' brain did not show increased functional connectivity and one in which participants did not experience childhood trauma – and participants in both of these subtypes usually responded well to treatment with SSRI drugs. This study was important in many ways because it identified sub-types of depression for the first time, and it showed that underlying factors, such as childhood trauma, play a role. The research also sheds light on the need to explore new treatment approaches for depression. The researchers published their findings in the journal, Scientific Reports. How Does an Ultrasound Work? Bonitto is a Web Developer and Brand Strategy Specialist who enjoys creating custom-tailored solutions that assist businesses with branding, UI/UX, content writing, SEO, and digital marketing. Tuesday, 26 February 2019 Is it Safe to have an MRI Scan with Tattoos? Here is What You Need to Know. We understand that each patient has special needs—physically, medically and emotionally. That's why everything we do is about you.